Planes, trains, cars and more! This fantastic Motors in Motion, 234 sticker variety pack offers you every form of vehicle transport in a mix of large, small, shiny and shaped stickers. 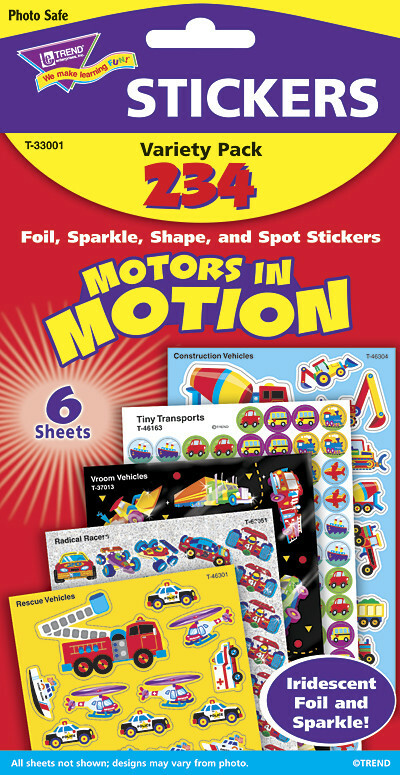 Great for kids rewards at school or at home.